Ashwin bowled 35 overs for one wicket, conceding 78 runs; in India’s first innings, Moeen grabbed 5/63. 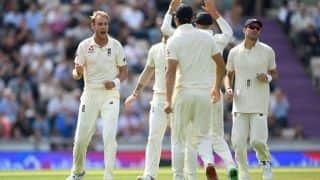 Michael Vaughan, the former England captain, believes that England are in command over India at the end of day three at The Ageas Bowl, and that the touring team’s struggles owed plenty to an ineffective outing for the lead spinner, R Ashwin. Speaking on the BBC’s Test Match Special, Vaughan backed England to close out a series-clinching win because their lead is approaching 250 on a surface with uneven bounce and occasional extravagant turn, which he expects Moeen Ali to exploit far better than Ashwin has been able to. 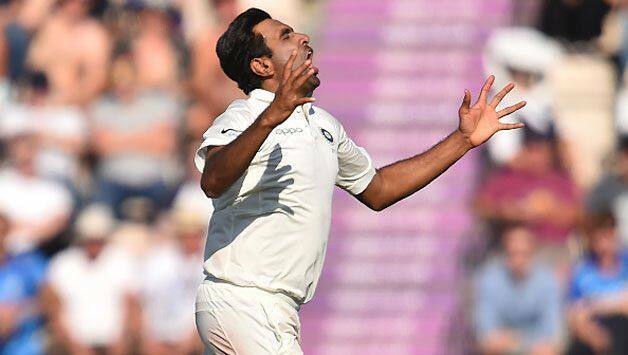 Ashwin bowled 35 overs for one wicket, conceding 78 runs; in India’s first innings, Moeen grabbed 5/63. From 122/5, England were revived by Ben Stokes (30), Jos Buttler (69) and Sam Curran (37*) to end day three at Southampton on 260/8 – a lead of 233. Ishant Sharma hit back with the new ball to end Butter’s vigil and then Mohammed Shami removed Adil Rashid off the last ball of the day. This, felt Vaughan, would have given India some lift but overall, it was England who had the better day. 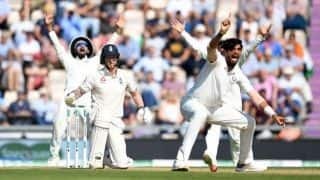 “England do tend to lose these wickets towards the end of a session and the end of a day’s play so India will go in with a little bit of a spring in their steps but I’d much prefer to be in the England dressing room,” he said. Vaughan singled out Curran, who is currently averaging 52.40 midway through his fourth Test, as player with a great future ahead.